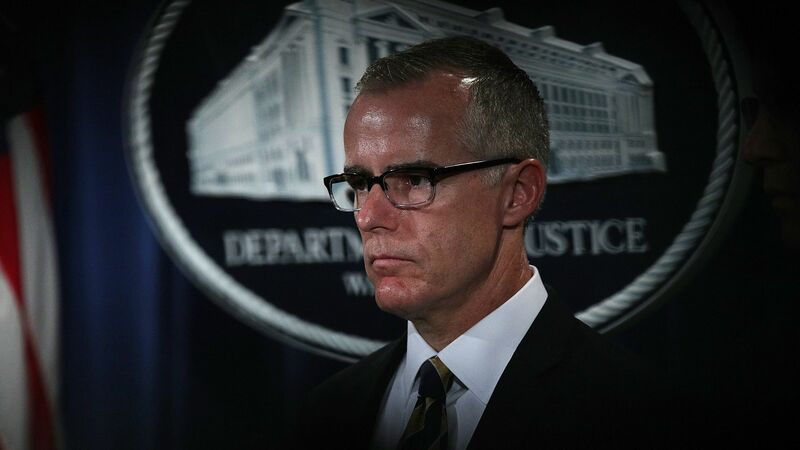 Former Deputy FBI Director Andrew McCabe reportedly turned over a confidential memo detailing a behind-the-scenes conversation between McCabe and Deputy Attorney General Rod Rosenstein where Rosenstein explained that President Trump asked him to refer to the Russia investigation in a memo opposing then-FBI Director James Comey, reports the New York Times citing people familiar with the conversation. Why it matters: As Axios' Mike Allen and Jonathan Swan previously reported, any obstruction of justice claim centers around Comey's firing and request from Trump for Rosenstein to include Russia in a memo rebuking James Comey could lead to an obstruction of justice charge against the president. The Times adds that "Rosenstein said it was unnecessary and did not include such a reference," as the president said it verbally as he announced Comey's dismissal.